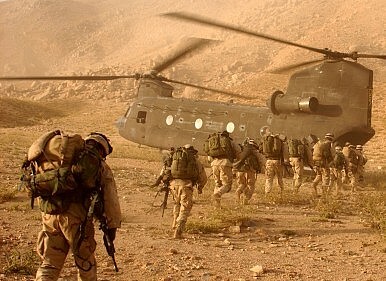 The United States is considering selling and transferring some of its Afghan War surplus to Pakistan. One of the main concerns for the Pentagon this year is the potential complete withdrawal from Afghanistan. Should the Bilateral Security Agreement (BSA) between the United States and the Afghan government not end up getting signed, all U.S. troops and hardware will have to leave the country after over 13 years of conflict. In terms of logistical planning, this is a behemoth of a task to undertake. As was reported last week in The Diplomat, the logistical constraints of withdrawing troops are such that General Joseph F. Dunford told the Senate Armed Services Committee that the BSA must be signed by August at the latest, allowing the Pentagon to plan for a withdrawal with ample time. The Pakistani military has expressed particular interest in the MRAPs as they hold considerable tactical value in its own fight against the Taliban and affiliated groups. Incorporating MRAPs into the Pakistani military could help lower military casualty rates in the fight against the Taliban. Additionally, Pakistani Prime Minister Nawaz Sharif’s government has been keen to acquire additional military hardware from the United States. At a time when the U.S.-Pakistan alliance is strained by a number of issues, the transfer of some Afghanistan war hardware might help smooth things over. The Pentagon would be able to complete the transfer with ease considering that Secretary of State John F. Kerry signed a waiver permitting U.S. weapon sales to Pakistan through the year. The transfer of these arms to Pakistan raises the question of why the United States isn’t considering an extraction via Karachi, which used to be the original point of ingress for Afghanistan-bound military hardware. As the war in Afghanistan carried on, the land-based supply routes over the Durand Line grew increasingly unstable and the United States and NATO established the Northern Distribution Network (NDN), which rerouted all supplies from the Black Sea, the Baltic, and the Russian Pacific coast. The NDN necessitated negotiations with Russia and makes heavy use of Russian territory — something that Putin could now potentially use as leverage should Western sanctions over Russia’s annexation of Crimea grow too burdensome. Shipping hardware out via Karachi would still be more expensive for the Untied States than selling most of it to Pakistan. Additionally, the transfer of military hardware to Pakistan would surely affect the United States’ relations with India and Afghanistan — both important partners for the United States in the region. Afghan President Hamid Karzai is generally skeptical of Pakistan’s intentions for Afghanistan once the United States draws down. Although he won’t be in power soon, his likely successors will all have trouble accepting Pakistan without suspicion.